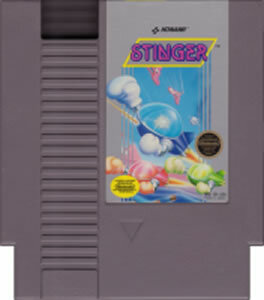 Stinger original NES Nintendo Game cartridge only - Cleaned Tested and Guaranteed to Work! Played this game until it wore out when I was a kid. Brought back many memories for me. It arrived quickly and in great condition as always. Lukie gets a A+ in my book. 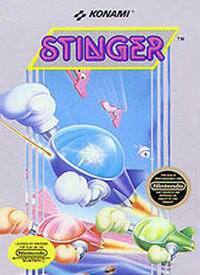 Dude.It's a Konami space shooter!! This is a Konami side scrolling space shooter game,and it is fun,inexpensive,and is addictive.You can't go wrong.It is really fun to play with 2 players,which you can play at the same time,and work as a team.Thanks again Lukie,for the memories and good times.Game arrived within days,and was clean,and fired up right away. Really fun game! 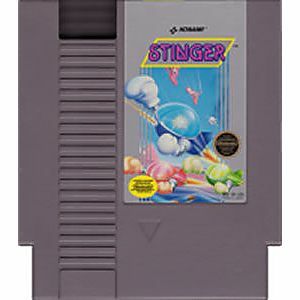 This is the US version of the Japanese Famicom game Twinbee. I love it and always order my North American games.